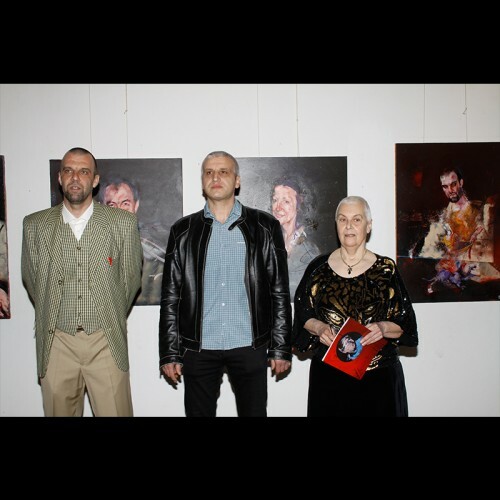 The VAZRAZDANE art gallery, a member of the National community centre „Vazrazdane“ has been established in 5.IX.1995 by the idea of the community centre’s secretary Dimitar Atanasov, a writer and journalist. The team Krassi Aleksieva and Simeon (Sim) Aleksiev run the art gallery. It is presented only the contemporary pictorial and plastic art. Pronounced artists are invited as well as quite young and unknown ones. Since its third year the gallery is specialized on theme „The BODY“, as about 70 percents of the exhibitions correspond more or less to the theme. Realistic, supernew, photorealistic, symbolic and surrealistic, naive, primitive and etc. paintings are thoroughly exhibited. There is a run on authors, creating modern figurative art, especially depicting the body. The graphic artists are appreciated. There are a lot of exhibitions with graphic works, drawings and illustrations. The art gallery exerts a lot of work and efforts in publishing of catalogues and albums that will be a useful source of knowledge for the future generations interested in our fine art nowadays. In the gallery depot there is maintained a rare and diverse collection (over 120 works) of oil paintings, graphic works and drawings, sculptures. Since 2001 the gallery gives a prize „Art Media“ for arts journalism – a diplom and a special graphics handmade by Assoc. Prof. Vladimir Genadiev. In 2010 Krassi Aleksieva and Sim Aleksiev have been curators of the National Autumn Exhibitions in Plovdiv, with „The body“ project, after winning a municipal competition. In 6 houses in the Old town of Plovdiv 20 solo exhibitions have been exposed of the following authors: Assoc. Prof. Vladimir Genadiev – honorable participation, Atanas Moskov, Prof. Bisser Damyanov, Vihra Grigorova, Gencho Denchev, Prof. Georgi Chapkanov – Chap, Prof. Desislava Mincheva, Dimitar Voinov Jr., Dimitar Manolov, Dimitar Rashkov, Dimitar Chonov, Prof. Emil Popov, Ivan Chakarov, Ivan Milushev, Keasim Isinov, Assoc. Prof. Krikor Kasapyan, Assoc. Prof. Magardich Kasapyan, Ognyan Nedkov, Slav Bakalov and Julian Jordanov. Since 2005 the prize „Silver Vazrazdane“ – a silver sculpture made by Prof. Georgi Chapkanov – Chap, have been awarded for achievements in art and personal commitment to the gallery. 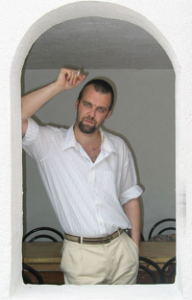 Dimitar Rashkov (2005); SvetlaKoseva (2015). The author of the prize Prof. Georgi Chapkanov – Chap is a winner of the special prize for overall achievements and mentoring over the gallery – a sculpture „St. George“, made by Dimitar Rashkov. In 2006, Vazrazdane art gallery have been awarded with gold badge „Golden book“ and a special certificate of the honorary status of an institution with high prestige and public recognition in the field of culture. The award is given by the Council of European scientific and cultural communities. 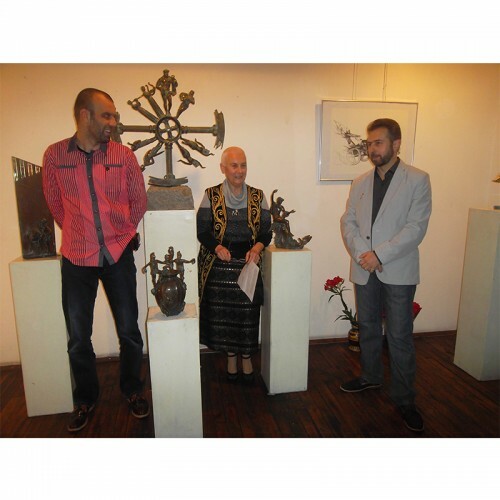 In 2017, on the occasion of its 22nd birthday, the gallery was awarded an honorary plaque by the regional governor of Plovdiv, Mr. Zdravko Dimitrov. issue 2, 2004 – Ralitza Ruseva; issue 4, 2009 – Silvia Pavlova. 2001 – Emilia Terzieva (Vesselina radio). 2003 – Elitza Kandeva (24 hours newspaper), Maria Lutzova (Maritza newspaper). 2004 – Evelina Zdravkova and Maria Lutzova (Maritza newspaper), Stoyan Terziev (Evrocom Bulgaria TV), Vladislav Sevov (Evrocom Bulgaria TV), Yanko Atanasov (Darik radio). 2006 – Evgeny Tsvetkov (Maritza newspaper), Evelina Zdravkova (Maritza newspaper), Vladislav Sevov (Evrocom Bulgaria TV), Georgy Manolov (Evrocom Bulgaria TV). 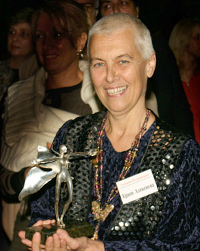 2007 – Delyana Lukova (Trud newspaper). 2008 – Veselka Venkova (Duma newspaper), Maria Lutzova (Maritza newspaper), The team of „Programata Plovdiv“. 2015 – Emilia Terzieva (DCTV), Nadezhda Usheva (Duma newspaper), from Maritza newspaper: Maria Lutzova and Evelina Zdravkova, from Radio Plovdiv: Antoaneta Petrichanska, Veselina Peeva, Galya Miteva, Jivka Tancheva, Iskra Koycheva, Paulina Komsalova, Stoyan Terziev. 2016 - Slavena Shekerletova (TV SAT KOM Asenovgrad). 2017 – Vanya Tringova (EuroPlovdiv.com), Neli Bistrashka (radio Plovdiv). 27.05.2011 г. – Marius Kurkinsky for exclusive achievements in the Plovdiv theater – a portrait of the awarded actor by Ivan Chakarov. 488 exhibitions have been exposed. More than 13 000 works of art have been exhibited, an average of 20 exhibitions per year. We are visited over 130 000 people. Forty artists have debuted in the gallery. Over 117 artists are shown for the first time in Plovdiv.